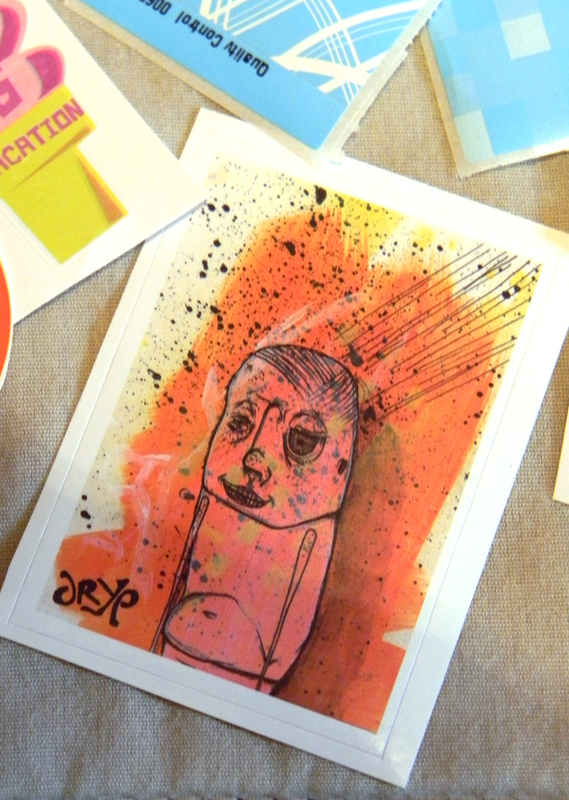 Daily Dzynmkr: Mail art excitement! Well, first I see my banner posted on Dolan Geiman's site today and then I checked the mail. SURPRISE!!! 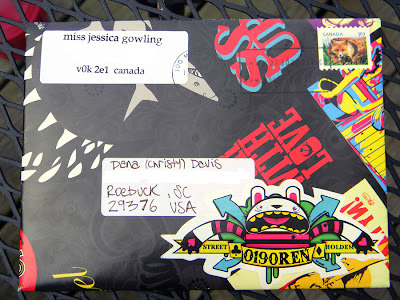 First mail art package received (from Jessica Gowling). I honestly didn't expect to be so excited!! I knew it would be cool, but I'm ecstatic!. It completely made my day. I feel like a little kid right now receiving their first piece of mail. As adults, we are so accustomed to getting bills and junk mail, we forget what it's like to receive something great! Although I'm not a Bieber fan - my daughter, 14, loved the sticker (so she got a surprise too!). I'm already thinking of cool things to include in the return package. 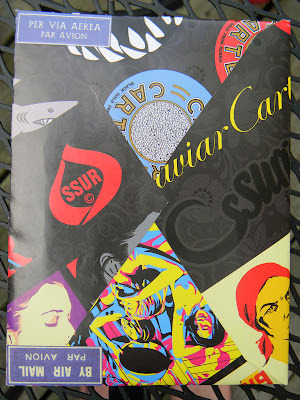 Front of the envelop (which I took great care in opening). This is one of my favorite things from the package. So weird, yet so cool! And it's a sticker!! Fabulous note on the back of her print, welcoming me to "the family." Thanks to Jessica for making my day and reminding me in a subtle way that I'm a star. 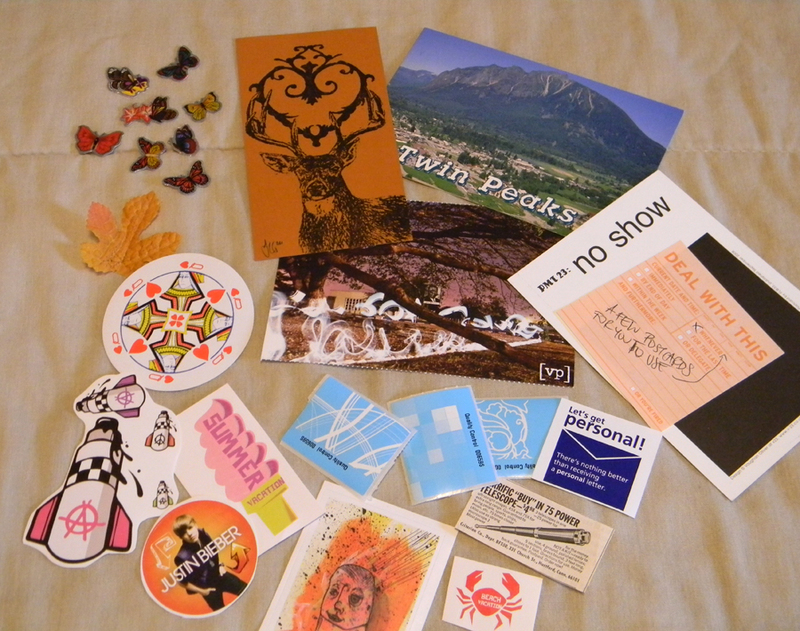 I look forward to extending my mail art family and receiving something worthwhile in the mail regularly. Until next time - Happy Mailing and remember There's nothing better than receiving a personal letter. 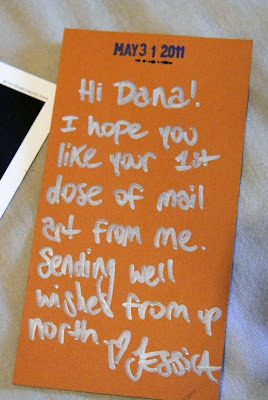 Dana, thank you for such a sweet blog post about my little package for you. I am thrilled your introduction to mail art has been so exciting, and I'm sure there are going to be many more fabulous envelopes for you to discover in the future! :D shine on, you star!